A new year in Seaside means you have 12 months of adventure ahead — trekking through rainforests, watching whales spray and dive in the Pacific, mountain biking old log roads in the Lewis & Clark Oregon Timberlands, catching your own Dungeness crab for dinner, and so much more. Ready to start making your 2019 bucket list? We’ve packed this month-by-month guide with some of our favorite things to do in Oregon’s original beach resort. Many of us start the new year with resolutions to be more active, so make your first workout of 2019 an epic one. Take the Tillamook Head Trail to the point where you can see Tillamook Rock Lighthouse in the distance. If you’re feeling ambitious, hike the entire 6.3 miles to Ecola State Park in Cannon Beach. (You might want to reward yourself with a cab ride back to Seaside.) Find even more hikes around Seaside here. There’s nothing like cuddling up with a book while an Oregon Coast storm rages out your window. It’s even better if you’re reading a tome inspired by these very shores — maybe a book about storms. Check out these top Oregon Coast page-turners recommended by Karen Emmerling, owner of Beach Books, a Seaside literary institution. Find a cozy place to stay here. The last week of March is Whale Watch Week along the Oregon Coast. 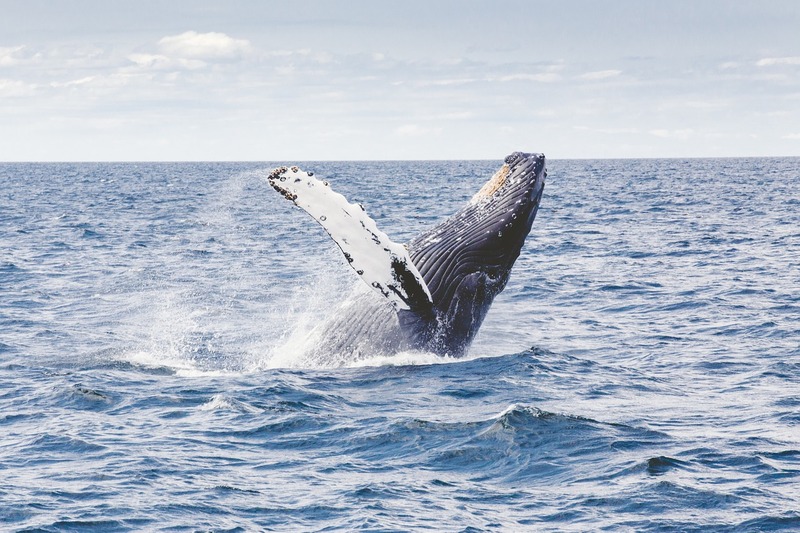 You’ll see gray whales and their calves traveling north to their summer home in Alaska. There are roughly two dozen designated “Whale Watching Spoken Here” locations in Oregon. You’ll find several of these volunteer-run whale-watching spots close to Seaside, the nearest being Ecola State Park. Seaside sits along the Pacific Flyway migratory route. While you can birdwatch year-round, spring is the perfect time for a visit to Mill Ponds, one of the coolest spots to go birding in Seaside. Look for brightly colored, neotropical migrants, such as Wilson’s warblers, orange-crowned warblers and warbling vireos. The short trail is flat and family-friendly. Find even more birding spots here. You can always rent a surrey and pedal around downtown Seaside, but if you’re looking for more of a challenge, hop on a mountain bike. 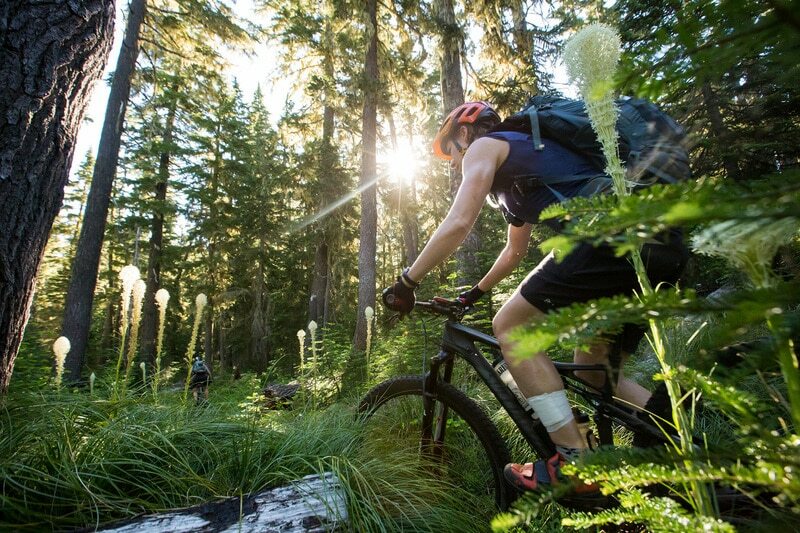 All of Seaside’s mountain-biking trails are located in the Lewis & Clark Oregon Timberlands, where you can grind along the gravel logging roads. To choose the right trail for your ability, click here for trail descriptions, directions, distances and elevation gains. You can rent wheels at Wheel Fun Rentals. Learn more about biking in Seaside here. One of the best ways to see Seaside’s natural beauty is to get out on the water. Head over to Cleanline Surf to rent a kayak and then launch at nearby Broadway Park — the kayak launch is ADA accessible. Then paddle north on Neawanna Creek for about an hour until you reach Necanicum Estuary for some of the best wildlife viewing in Seaside. Find directions and more tips in our quick paddling guide. Learn what it really means to “hang ten” on the North Coast of Oregon, one of the top surfing destinations in the Pacific Northwest. Oregon Surf Adventures offers private and group lessons. Or make a weekend of it at Northwest Women’s Surf Camps — open to women and everyone else in the family. Learn more about surfing in Seaside here. 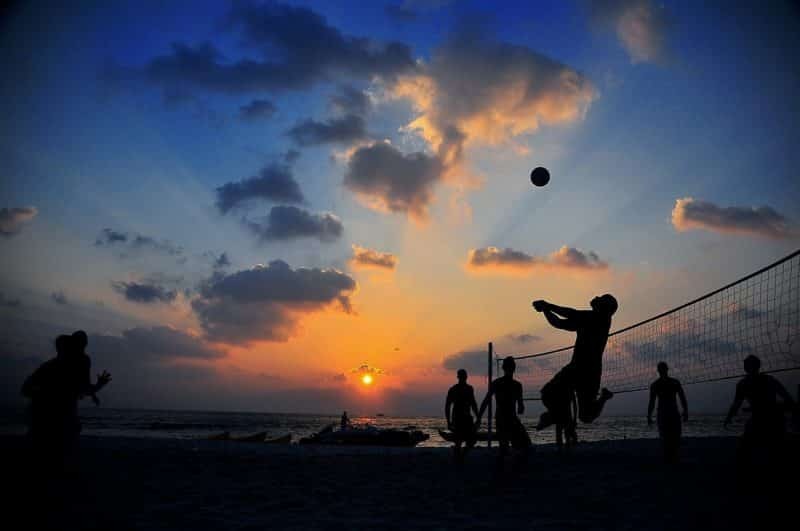 Get ready for Seaside Beach Volleyball: Every year, the city puts on the world’s largest amateur beach volleyball tournament, drawing players from across the United States and Canada. More than 20,000 spectators turn out for the four-day event, so be sure to reserve a place to stay well in advance. Take part in an Oregon Coast rite of passage — crabbing. The best time to go crabbing is in the fall, when Dungeness crabs are more filled out with a higher percentage of quality meat. Head to the 12th Avenue Bridge and drop your crab pot off the side. You can pick up supplies and the required Oregon Shellfish License at Trucke’s 1 Stop. Follow these crabbing tips from the Oregon Department of Fish & Wildlife (ODFW). You’re not alone — the supernatural also appears to love Seaside. A number of sites in town are thought to be spooked. If you dare, take a self-guided ghost tour of some of the most haunted sites. Shopping in Seaside truly is a treasure hunt. Start at the Seaside Carousel Mall and then head down Broadway, dropping by locally owned boutiques and candy stores. Then drive over to Seaside Outlets for bargains on big name brands like Nike and Pendleton for the holidays.